Happy weekend friends! It’s Stacy from Mrs. Johnson’s First Grade to bring you a little snippet from my Writers Workshop! Let me start by saying I have 23 English Language Learners in my First Grade class this year! All but 2 are labeled intensive and many are still acquiring the language. It’s going to be a busy year! As I introduce our Writer's Workshop, I start the students out by having them draw a picture and then move to words to describe their pictures. This is when I realized they did not have much sentence structure or enough vocabulary to make a sentence. I came up with a way to make sentences they could manipulate. They LOVED this! colored cards with white labels so students could write with a dry erase marker. Each Di would have one of each color. 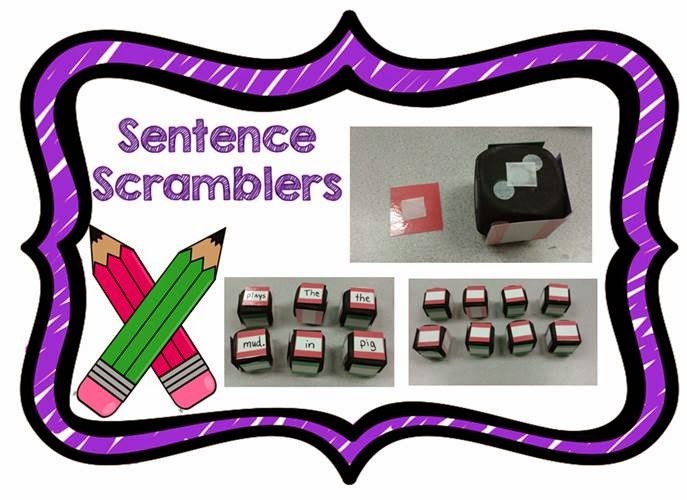 The students would make sentences using one color for each word in their sentence. I put the students in groups to work together. Each group got a different color to work with. Since we were talking about pets, I used pictures to help them as they wrote. After they finished the sentence, they put one word/color on each of the di. We scrambled them and the students got to unscramble everyone’s sentence together as a whole group. 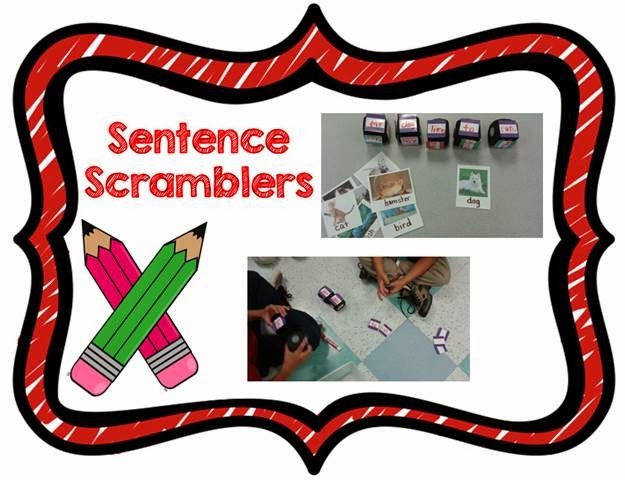 With the sentence scramblers being a foundation, our next activity was introducing Nouns and Verbs. They got to choose another pet and work in groups. 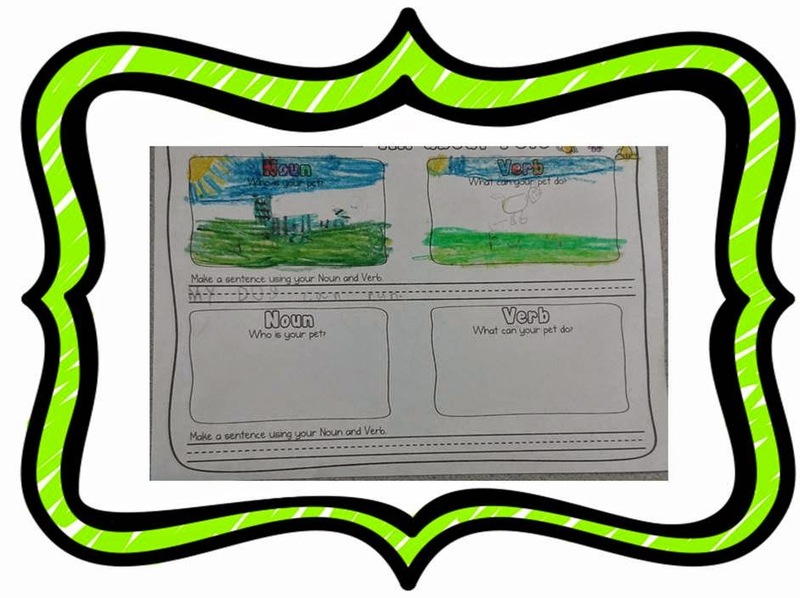 After drawing a picture for the Noun and Verb, they generated a sentence using the nouns and verbs they drew. I'm planning to use this for centers and may write sentences for them to unscramble as well. 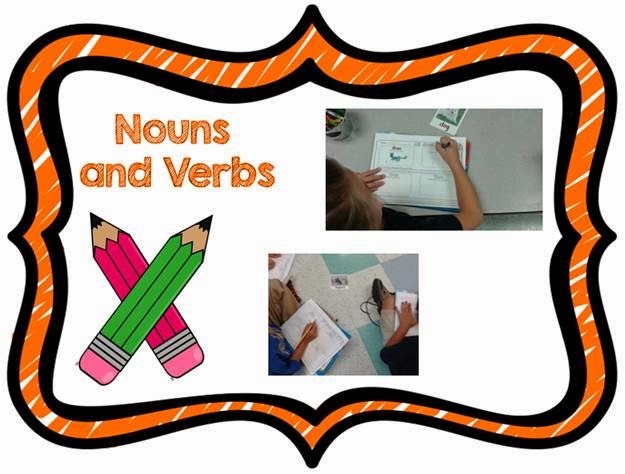 If you’d like the Noun and Verb page you can download HERE.